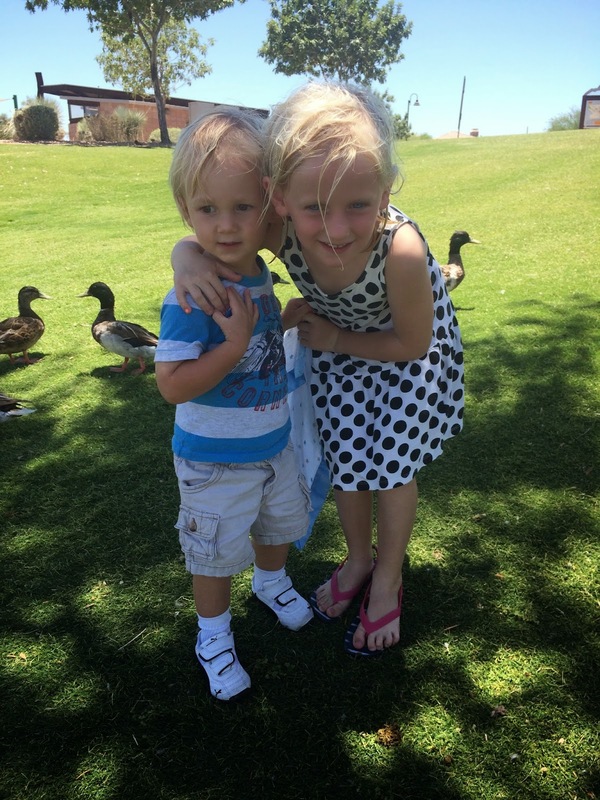 We headed out to Fountain Hills, to a new-to-us splash pad and park. 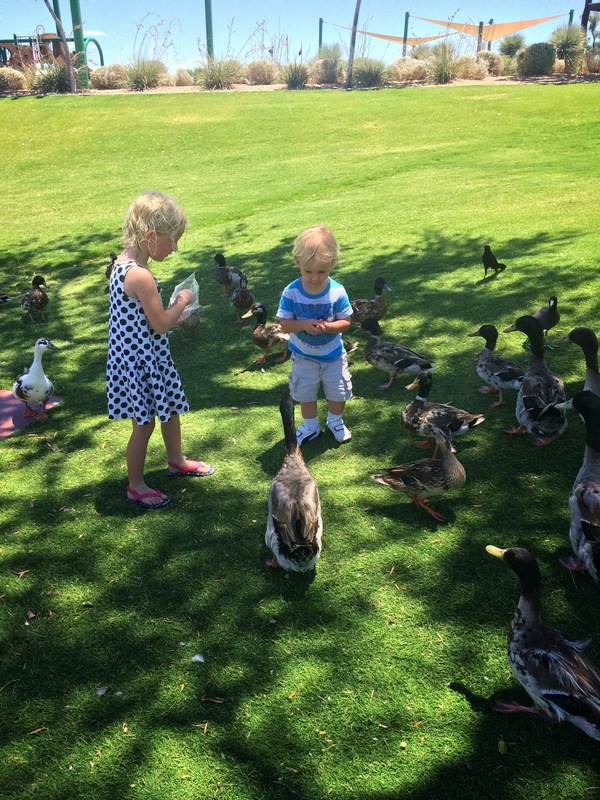 However, the "wild" ducks and geese surrounding the pond proved much more entertaining for my city kids. 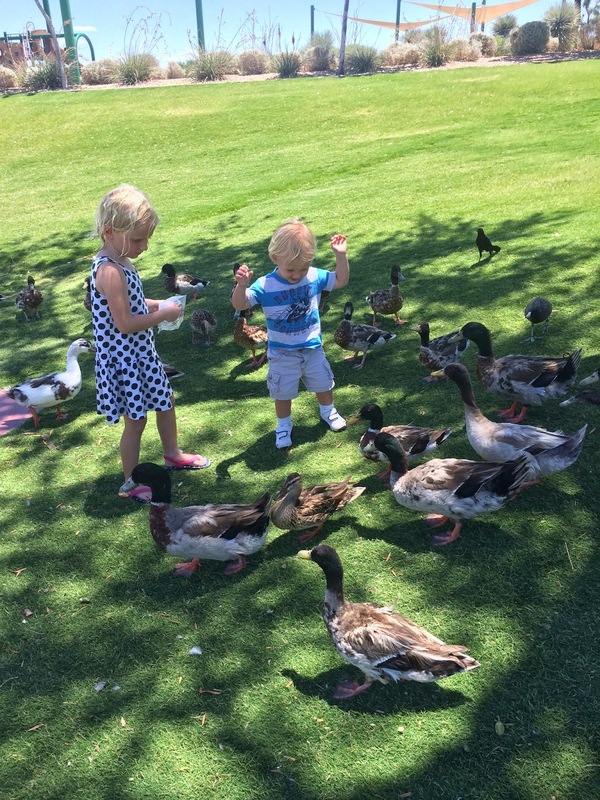 We spent half our time chasing and feeding these guys…with lots and lots of giggles. Plus one little finger bite on our girl who didn't let go of her bread fast enough!